This piece is part of The Washington Post’s On Leadership roundtable, which this week explores apologies — in light of CEO Reed Hastings’ ill-received mea culpa for Netflix changes. “The only correct actions are those that demand no explanation and no apology,” Red Auerbach said. If only we could all live up to the famous coach’s standards. But since we can’t, we can at least all aspire to making straightforward explanations and clear apologies. 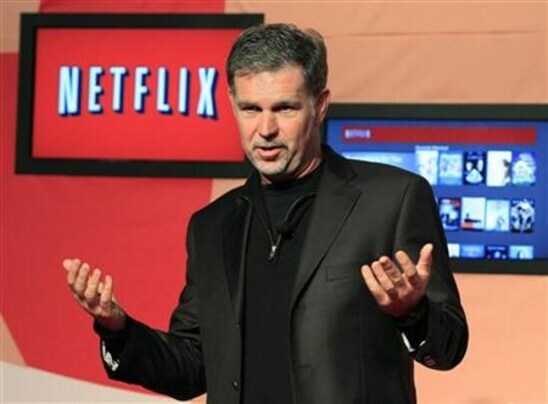 Last week’s bizarre mea culpa by Netflix CEO Reed Hastings was neither. He began an email to subscribers with an apology, which gave the initial impression he would be reversing recent price increases. Instead, he apologized for the way he’d delivered that news, and went on to describe a new business model that could be more inconvenient for customers. Still, many CEOs do get it right. When they do, it’s typically because they took control of the apology themselves, addressed the issue quickly, picked the right channel to deliver their mea culpa, offered a concession, and really meant it when they said they were sorry. Most Americans have the same hollow pit in their stomach when they think about 9/11 as they did for JFK’s assassination a generation earlier. I was in London that fateful day watching in disbelief, then could not return to my family for over a week. What stuck with me the most during those early days, however, were the heroic acts of leadership by a number of executives trying desperately to boost spirits and focus on returning to normality. I interviewed a number of people and collected my thoughts in a Harvard Business Review article that was published a bit over a year later. The article was republished this spring in the Japanese version of Harvard Business Review as well. It’s nice to know that some positive lessons can still be taken away from something so tragic. I hope you enjoy reading the article again or for the first time. Drop me a line to let me know what you think. I was interviewed by PRI’s The World on the Evolving Myth of Bin Laden. You can listen to the interview: The Evolving Myth of Bin Laden and read a short summary of it here. How well did TEPCO Perform? Overall, TEPCO has not faired well: it announced a loss of $7.4 billion, the company’s bond rating has been cut to junk, and TEPCO has struggled to communicate with some very angry shareholders. Add to this the fatal radiation levels still being found in its plants, and you have what everyone would most certainly consider a major crisis. As Japan sorts through three separate disasters: the earthquake, the tsunami, and the potential nuclear meltdown, the media has focused on the disaster appropriately from the perspective of lives lost, and the potential for things to get even worse. Lost to the back pages, however, is a potential disaster looming in the background for Tokyo Electric Power Company (TEPCO). For those of you old enough to remember, we have seen this kind of disaster in the making before at Three Mile Island (TMI) in 1979. I was just starting my career when this accident unfolded on my birthday that year. All of us held our breath as one of the worst handled crises turned into a media frenzy of oversized proportions as a result of poorly handled corporate communications and a popular movie (The China Syndrome, which had come out only two weeks before about a nuclear meltdown and cover up). What can TEPCO learn from that crisis, and how can TEPCO and Japan seize the opportunity that lurks right around the corner in every crisis? Here are five opportunities waiting for TEPCO to carpe diem on. Remember the Big Three auto executives who flew to Washington last year to testify about the condition of the their industry and (for General Motors and Chrysler) to request federal aid? They traveled in three corporate jets, raising a firestorm of criticism at a time when Detroit autoworkers were being laid off by the thousands. It was, as one journalist pointed out, “stone-cold tone-deafness” that resulted in a further piling-on of anger for the U.S. automotive industry. But for Paul Argenti, professor of corporate communication at Tuck, the more important story was what happened immediately afterward: Ford, realizing that it was being grouped with GM and Chrysler as a failing business and a villain, launched “The Ford Story” over the next weekend. Ford’s communications program was created specifically for users of social media—Twitter, blogs, comment-enriched news, Facebook, YouTube, and other online applications. Its website, subtitled “Ford is different…join the conversation,” urges visitors to “get involved” and keep up with a live chat. A large portion of the home page is a string of links to Ford’s presence on social media or directly to the company itself (“Got a cool idea for Ford? Let’s hear it!”). Articles address new technologies, issues of social importance (for example, drivers distracted by texting), the ease of online purchasing, and, ultimately, quality and value.